It'll be here on Sunday--Valentine's Day! As a child, I loved how we covered shoe boxes with crepe paper and glued hearts, etc. on it to hold the valentines we hoped to get at school. Remember those times? In honor of the most romantic day of the year, I'm giving away a copy of No Place for a Lady over at Bustles and Spurs today. Some of you have written me saying you've read book 2 and would like to read the first one. Well, here's your chance. 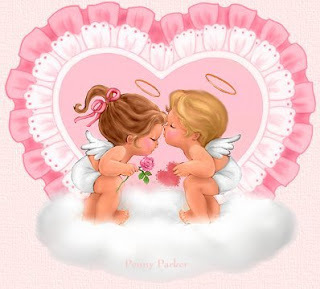 Go to www.bustlesandspurs.com and tell me what was your favorite valentine card that you can remember. You can read my answer there. On Monday, I'll draw a winner. Great! Thanks for the fun memory of those Valentine's Day boxes. See you at Bustles and Spurs.